In the latest Shifters Unbound novel, a man has resigned himself to a life half lived. But a beautiful, courageous woman has him longing for something more... Graham McNeil knows that his pack is unruly, but he's not sure he can take the next step toward Shiftertown stability--choosing a new mate. After losing his mate and son long ago, Graham has worked hard to keep his heart in check. And even if he was inclined to bind himself again, his girlfriend, Misty, is human--a fact that won't sit well with Graham's old-fashioned wolves. 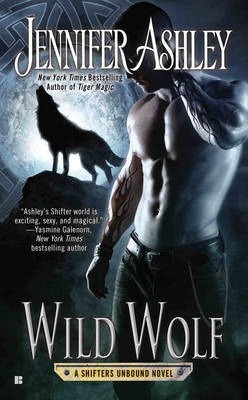 But Graham is up against a new enemy, one who could spell danger and death to all of Shiftertown. Graham must now defend his leadership and save Misty, the woman he has grown to love--before Shiftertown is pulled into an all-out war. Jennifer Ashley, New York Times and USA Today bestselling author and winner of a Romance Writers of America RITA Award, also writes as national bestselling and award-winning author Allyson James. She lives in the Southwest with her husband and cats, and spends most of her time in the wonderful worlds of her stories.